I lived and worked across Asia for two years studying Asian language, culture and cuisine. One thing I quickly discovered is that Asia in not a bread culture. Most of the starches in Asian foods are defined by rice or noodles. Rarely does a true bread made with flour or yeast show up. But there is an exception. 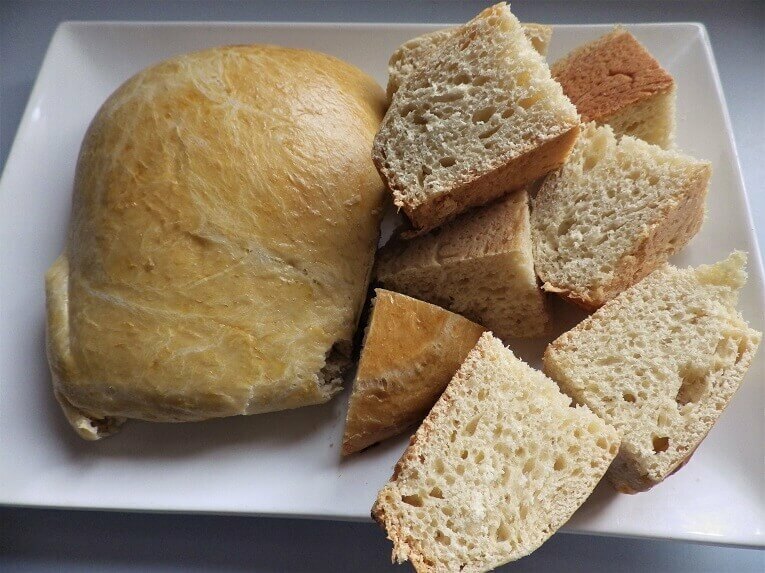 Asian bread or as it’s commonly referred to “Roux bread,” is a very light and delicate yeast bread made with white flour and a complex process. 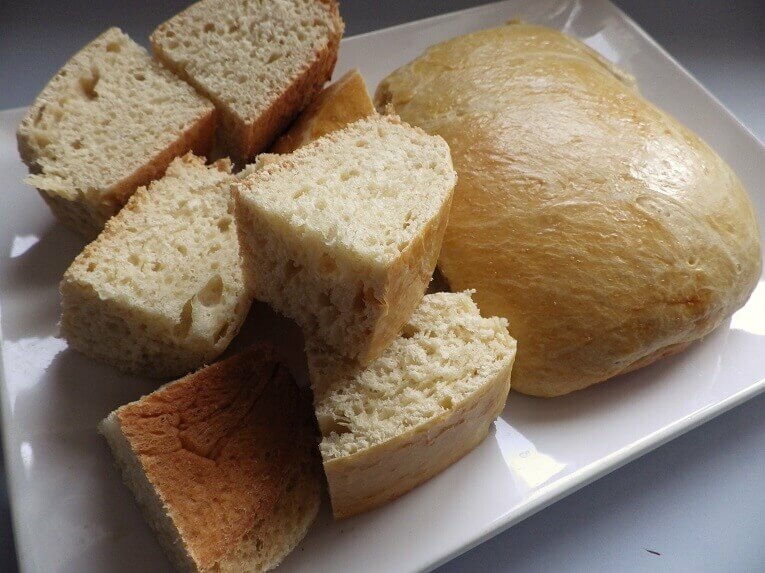 The fundamental recipe is very similar to Hawaiian Sweet Bread but it’s a bit more complex. 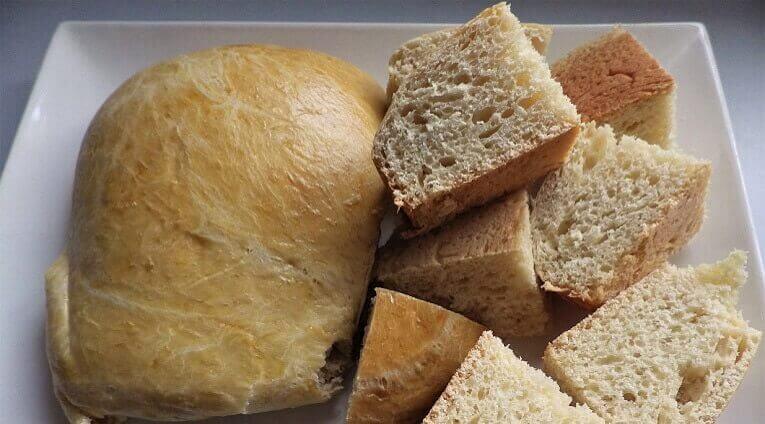 This bread recipe is a two-step process and your bread machine can make things simpler. However, that doesn’t mean it will be easy, but the final product is worth the effort and the time. The first thing you have to do is make the water roux. 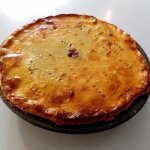 This in done in a bowl combining boiling water, sugar, butter and flour. You whisk this into a bowl; cover with plastic wrap and refrigerate overnight. (I told you it was complicated). The next morning you bring the water roux to room temperature and now you’re ready for the bread machine. However, this recipe is not finished in the bread machine. 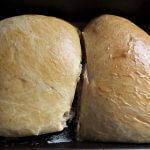 It’s finished in a conventional oven, but your bread machine can make this second step easier. (Whoof, time for a second glass of wine). 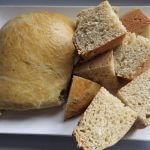 The second part of this recipe is finished in the bread machine using the dough setting. 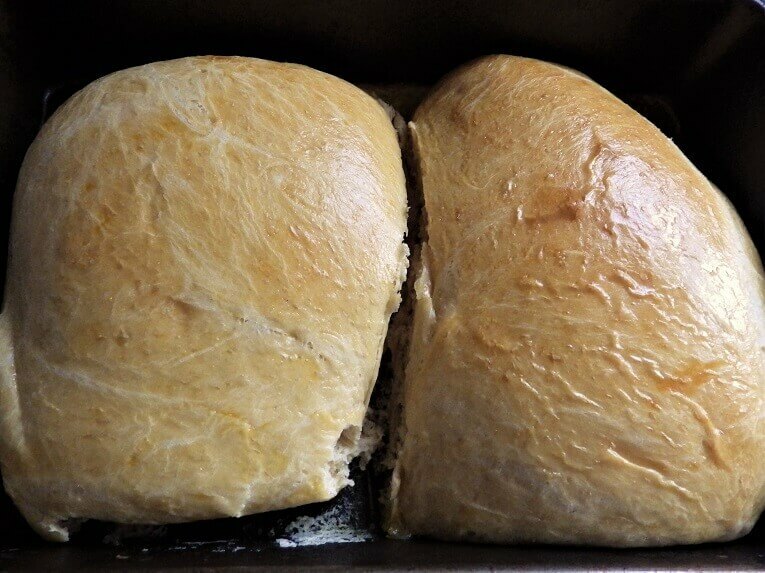 The dough setting has a rising cycle and you want to let it rise and then punch it down when the cycle is done and shape into two loaves on a lightly floured surface. 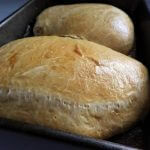 The two loaves are placed into a large, buttered bread pan and allowed to rise for an additional hour before being baked at 350 degrees Fahrenheit, 180 degrees Celsius for 35 to 40 minutes or until browned in a conventional oven. The ingredients and the steps are listed below. 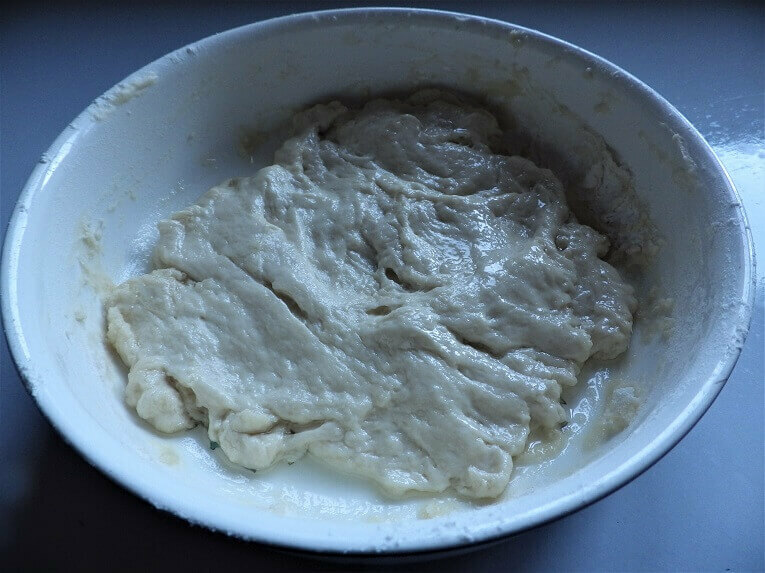 This is the first step for this bread recipe. The water must be boiled, and the butter melted in the boiling water in a bowl. 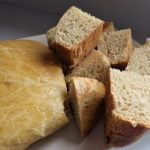 The sugar is dissolved in the water and then the flour is slowly whisked into the water to make a semi-firm dough base. This is then covered with plastic wrap and refrigerated overnight. In the morning you bring it to room temperature before the next step. 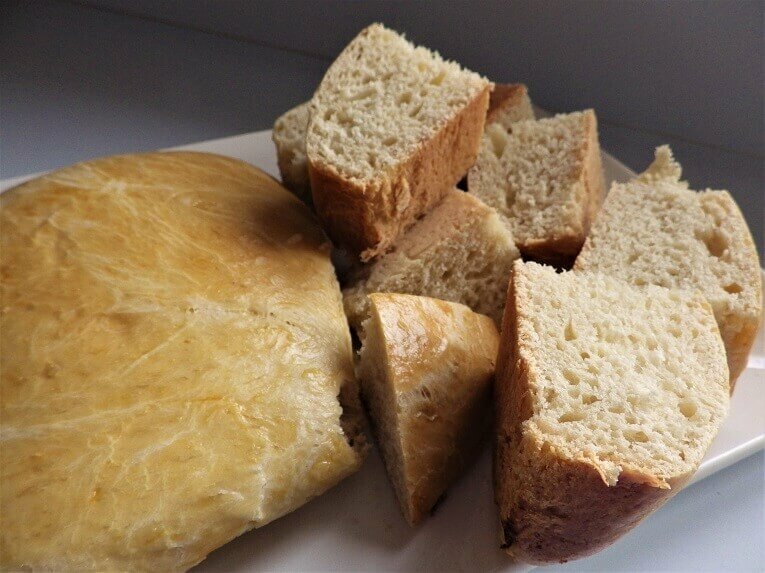 Combine the boiled water, butter and sugar in a bowl and slowly whisk in the flour to make a semi-firm dough. Cover the bowl with plastic wrap and refrigerate overnight. The next day, remove the plastic wrap and bring the water roux to room temperature. You’re now ready for the next step. Add the ingredients to the bread machine pan in the order indicated and select the basic dough setting. As the machine continues to mix and knead the mixture, slowly add the water roux mix one spoonful at a time. 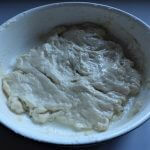 The water roux will slowly blend, and you can then let the basic dough cycle complete. The basic dough setting has a rising cycle and once that is done you pour out the dough onto a lightly floured surface and punch it down. Grease 2 8x4 inch loaf pans. 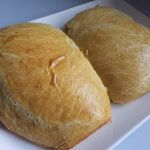 Working on a floured surface, cut the dough in half, and form each half into a loaf shape. 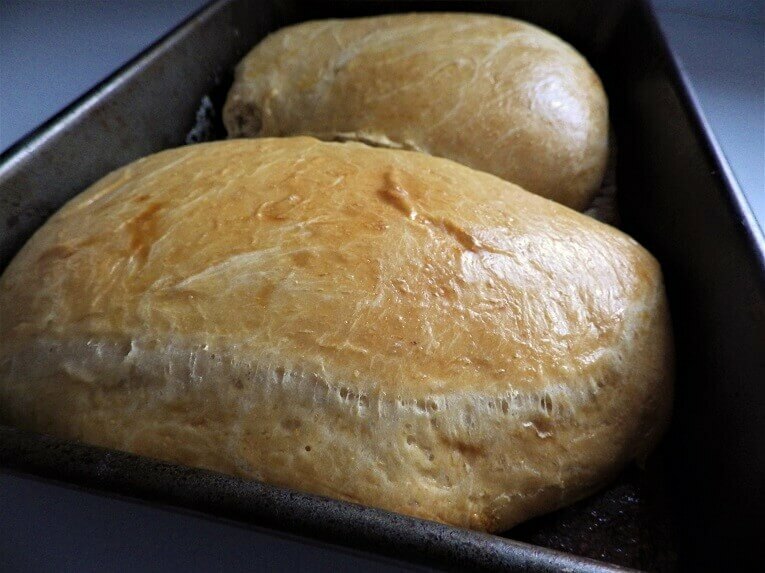 Place the dough in the prepared loaf pans, cover lightly with a cloth, and let rise until doubled, about 1 more hour. 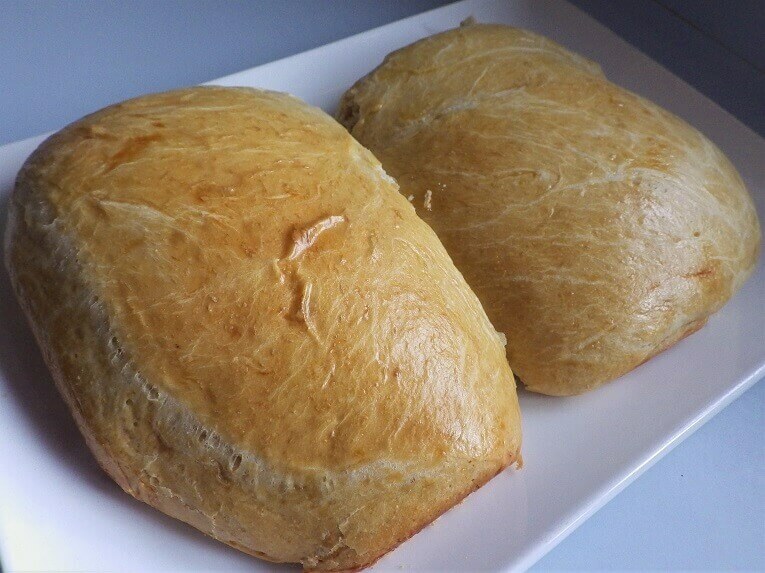 Bake the loaves in a preheated oven at 350 degrees Fahrenheit/175 degrees Celsius until the tops are lightly golden brown, 30 to 40 minutes. 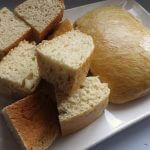 Remove the bread from the pans, and brush loaves with melted butter while still warm. Slice and serve.